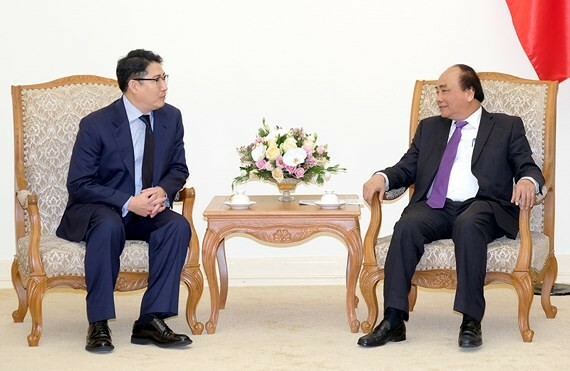 Vietnamese Prime Minister (PM) Nguyen Xuan Phuc received Cho Hyun Joon, Hyosung Group Chairman yesterday. At the reception, PM Nguyen Xuan Phuc praised the group as one of the biggest Korean investors in Vietnam with its key projects across the country; and he highly appreciated success of the group in previous time. The Hyosung Group leader said that the company strived for increasing investment capital by US$ 6 billion, focusing on Vietnam’s electric power projects. The group planned to cooperate with Vietnamese enterprises in generator transformer and technology transfer. The Government of Vietnam paid attention and created the favorable condition for the Korean enterprises , including Hyosung. PM Nguyen Xuan Phuc suggested Hyosung to join in strategic shareholder of Vietnam’s generator transformer factory. PM Nguyen Xuan Phuc also suggested the group should ensure environmental protection; expanding its business operation in entertainment fields.